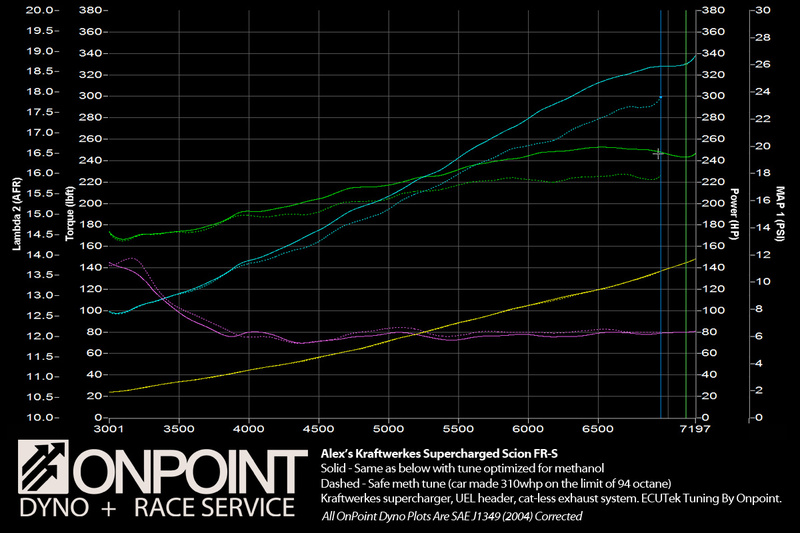 The most common question I am asked by my clients with forced induction engines is: Why can’t we make more power? Why can’t you just turn the boost up some more? Why can’t you just add more timing? The answer to that question is that we are knock-limited. These guys don’t let me off easy. That’s not a good enough answer. They want to know why this knock is occurring and how to get rid of it. It’s costing them power! Well it’s a little more complicated than just buying some parts. What Is Detonation (Knock, Spark-Knock)? 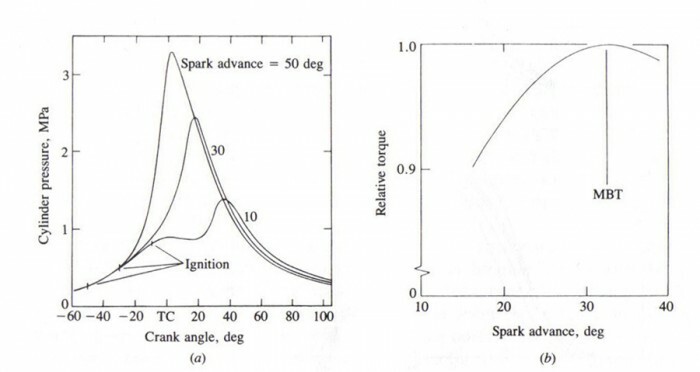 Detonation refers to when pockets of mixed fuel and air inside the combustion chamber ignite separately from the original flame front that is ignited by the spark plug. These pockets do not burn in a controlled fashion – rather they are explosive. These explosive detonations can damage an engine, and can be heard as an audible pinging as the pressure wave from the explosion resonates through the engine block. 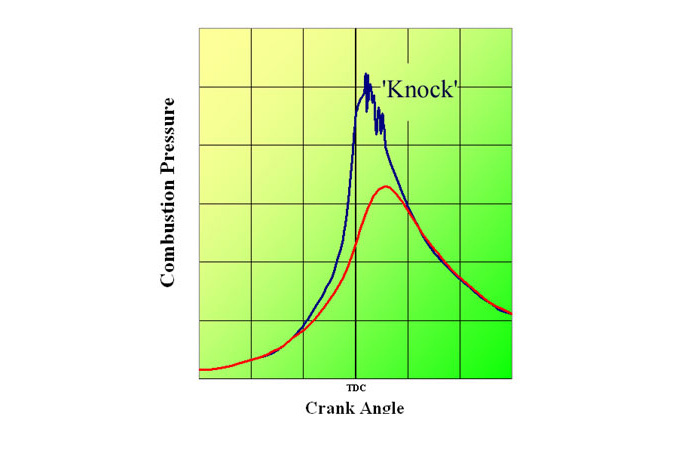 Depending on the severity of knock the pressure rise in the chamber can be just slightly above the normal peak pressure, or extremely outside of the normal limits the engine would normally see – potentially damaging the engine. These pressure spikes break through the protective boundary layer of relatively cool gas and cause erosion and extreme heat transfer to the engine’s internal components. Extended heavy detonation can and will destroy pistons, head-gaskets, spark plugs and cylinder heads. 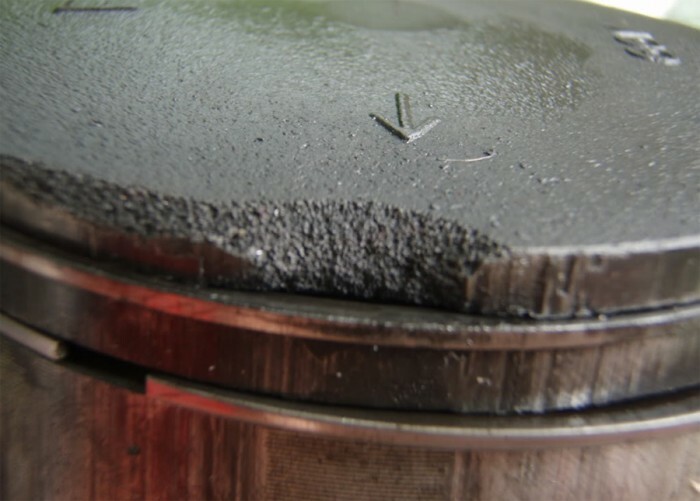 The violent strikes from detonation can also fracture components – imagine hitting the corner of a piston with a hammer – you could imagine cracking a ring land. Or picture dropping a spark plug on the ground, you could very likely break off some of the plug. It is important to understand that not all detonation is destructive. Detonation under light load is normally not of significant enough pressure to damage the engine. Even naturally aspirated engines at full load can often survive a long period of heavy detonation without any observable damage. Pre ignition is the big bad drunk uncle of Detonation. Pre-ignition occurs when the engine is so upset with it’s current state of being that part of the fuel mixture ignite before the spark plug has started the initial flame. Generally this should never happen on a healthy engine but it is worth recognizing pre-ignition, because extreme detonation can setup a perfect environment for pre-igntion to develop. The heat transfer from detonation can cause internal engine parts to glow, or become extremely hot. This, coupled with extreme engine load, can cause pre-ignition. Once pre-ignition begins you can imagine that it could be a very damaging affair as no adjustment of ignition timing is going to make a significant difference to stop it. Detonation is caused when pockets of air and fuel are under enough heat and pressure to self-ignite. We can separate the causes into two main categories: The octane of the fuel (octane is a fuel’s resistance to detonation), OR the engine’s mechanical attributes. Fuel is the most commonly understood way to eliminate detonation. More octane = less knock, all else being equal. When you go to the gas station the number you see at the pump is the octane number of gasoline – this is the fuel’s measure of its resistance to knock. Additives like octane boosters, water injection or methanol injection can increase the effective octane of the fuel, while excessive oil in the inlet tract can reduce the effective octane of the fuel. For that reason it is very important to have an effective crankcase air-oil separator if the crankcase gasses are to be re-circulated back into the inlet tract. Fuels like E85 or Methanol which have a much lower stoichiometric ratio than gasoline achieve a higher octane rating in part by their cooling effect from the larger amount of fuel being injected, and due to the much greater latent heat of vaporization, which is the amount of heat that is removed when these liquids change state into a gas. Race fuel has a much higher octane based on the chemical make-up of the fuel, using a composition that is able to burn in a controlled fashion at higher temperatures and pressures than pump gasoline. There have been many studies and there are tons of dyno graphs that compare identical setups with one type of fuel to another. It is very easy to compare fuels as you simply need to pump out the tank. It is not so easy to quantify mechanical changes. 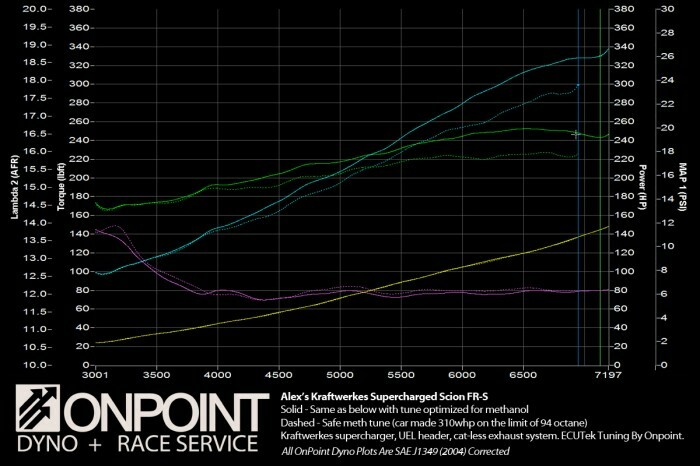 This supercharged FR-S saw significant power gains at higher RPM with methanol injection as it was knock-limited on pump fuel. Ignition Timing – Far and away the most common source for knock is ignition timing. 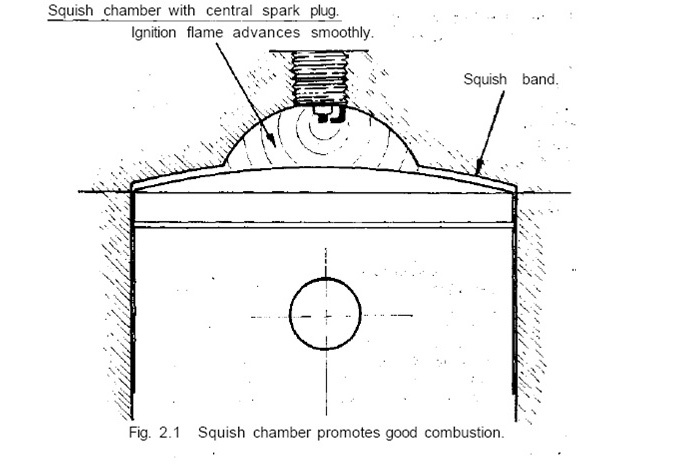 The earlier the fuel/air mixture is ignited the more pressure will be developed in the combustion chamber. As long as we are able to get to MBT (minimum timing to produce best torque) before knock, we are not too concerned with how much timing would have resulted in knock. An engine is considered “knock limited” when knock occurs before the ideal ignition timing can be run for peak torque. This is usually the case on most forced induction engines that run pump fuel, on high compression naturally aspirated engines, or even in typical engines with low octane fuel. The power loss accelerates the further away we get from MBT, eventually to the point where the engine will start missing and running poorly due to overly retarded ignition timing. This situation can be observed by running way more boost than a certain fuel can support in a specific application. In the left graph you can see what happens to cylinder pressure as ignition timing is advanced – there is a lot more of it! On an engine that is knock limited, more ignition timing will make the problem much worse! It is also worth noting that cylinder pressure will continue to increase with ignition advance even past peak power. In other words more ignition timing always creates more peak cylinder pressure, but not necessarily more power. Photo Credit: Unknown text book. Heat – The hotter the combustion chamber, the more likely detonation becomes. Water temperature and charge temperature play a large roll. Oil temperature, fuel temperature and exhaust manifold back-pressure also play a role in the temperature in the combustion chamber, which will have an effect on knock. Pressure – More engine load brings you closer to the knock threshold. Obviously there is more heat and more pressure from additional air and fuel burning in the combustion chamber, which are the two things that cause knock. Efficient airflow through correct valve timing, good head flow and low exhaust gas back-pressure will reduce knock. 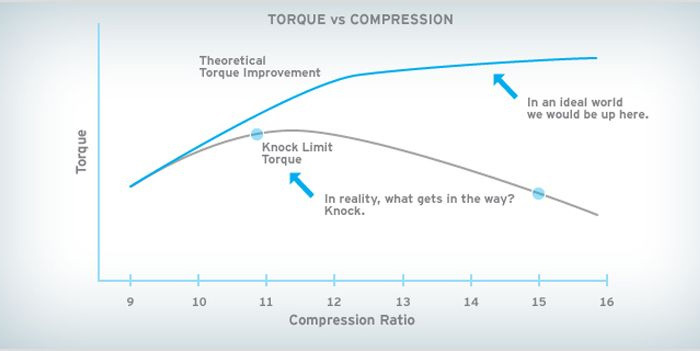 Compression Ratio – The higher the compression ratio of an engine, the more heat and pressure is produced in the combustion chamber, leading to a higher likelihood of knock. Swirl & Turbulence – The engine’s ability to swirl create and turbulence in the combustion chamber will play a large roll in mechanical octane. The faster the burn occurs, the less time there is for heat and pressure to build up outside of the primary flame kernal, lowering the ignition timing required for the engine and increasing the mechanical octane. Turbulence and swirl are one of the parameters OEMs spend a lot of time modeling and simulating to achieve the fastest and most homogeneous burn. Cylinder Head & Piston Design – Similar to above, OEMs spend a lot of time on the design of the cylinder heads and pistons to work on coolant flow and cylinder quench to improve thermal efficiency and reduce detonation (to allow higher compression ratios). Quench helps reduce knock by cooling the end gasses and forcing the air/fuel mixture into the center of the combustion chamber as the piston approaches TDC. Fuel Mixture – The leaner the mixture, the greater likelihood of knock. Blow-By – An engine with poor crankcase ventilation will result in excessive blow-by, which will result in knock. As we mentioned earlier, oil lowers the effective octane of the fuel, so if the blow-by gasses cannot vent out of the crankcase they will re-enter the combustion chamber and reduce the effective octane. Sharp Edges / Carbon Build Up / Incorrect Spark Plugs / Hot Spots – Any parts of the combustion chamber that are holding excessive heat can become a local knock risk. This includes carbon buildup, spark plugs that are too hot for the application, or sharp edges on the piston or heads that could trap heat. Unfortunately, most of these mechanical attributes are built into the engine’s architecture. Even during an engine build there is very little you can do to change the cooling properties or cylinder head and piston design of your engine. Without good data on different types of coatings, and the effects of sharp “mill finish” pistons vs hand finished pistons it is very hard to determine value for your dollar on these expensive options. The simplest way to extract more out of your engine is to run a higher octane fuel, and ensure the cooling of the engine is up to the task. This includes charge air cooling and water/oil cooling. And lastly, make sure you have a good air/oil separator and that no oil is being ingested into the combustion chamber. Beyond those tips you are into a development zone and you are somewhat on your own. I would love to hear results of tests that experiment with coatings, porting, squish/quench and other means to improve mechanical octane, so if you have learnt something please do share! So now that you have a decent idea about knock hopefully you’ll be able to appreciate when you are told that the engine is at it’s safe limit. Keep in mind of course that tuning on the dyno is in a very consistent and controlled environment. It is a tuner’s job to give you a tune that he believes will be safe for the engine under all anticipated operating conditions. Unless you have the budget to go out and do hundreds of hours of testing in the Arizona desert and are able to get your hands on a bad tank of fuel to throw in the mix, it’s likely a good idea just to let the tuner remove a couple degrees of timing to give your engine a safe buffer zone for the harsh realities of the real world. That being said, engines that have properly calibrated knock control systems can afford to run more aggressive ignition timing, as they have a system that will only allow one or two knock events before removing ignition timing and adding fuel to save the engine from damage. Engines that do not have knock control need to be tuned with more of a buffer as knock tends to lead to more knock – a dangerous snowball effect that can damage your engine in short order.